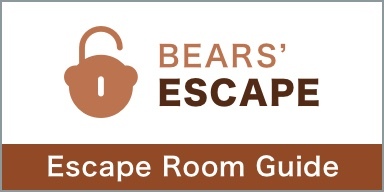 Since we are huge fans of so-called “Escape Room” games, we are adding a new category to our blog called “Bears’ Escape“, where we will review all the different escape rooms we played. You can expect our overall experience, we will rate the service and staff, but we will not give away any details of the games that would spoil your experience if you want to try it for yourself. 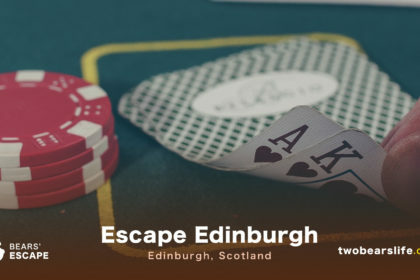 We will also not add the prizes of the different locations since they are subject to change – we will just provide a link to the website, where you can check the details on your own. What is an Escape Room you might ask? 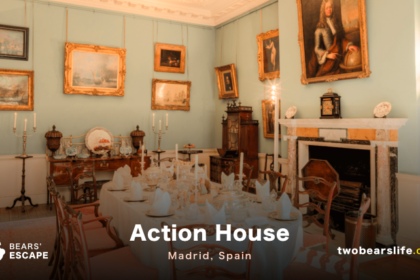 The details differ from location to location, but the fundamental idea is always the same – you (and your group, which consists of 2 to 6 people most of the time) will be locked into a room and (in most of them) you will have 60 minutes to solve various riddles. If you manage to solve all of them successfully in this 60 minutes, you win – if you don’t, the game will be stopped and you will forever remember those rooms as the ones where you walked out a loser and will always question if it was you or the game itself that failed. 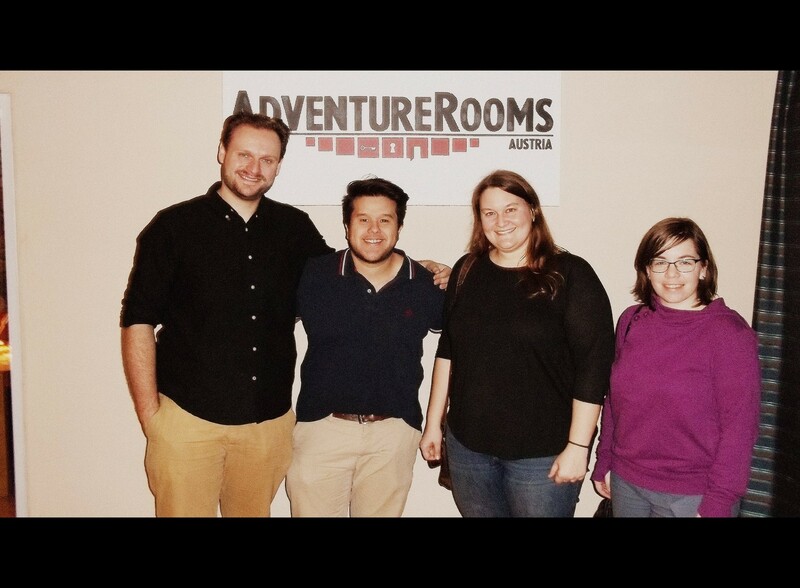 It is important to note that this one was actually the first escape room for most of our team, so expect our experience to be clouded with first time naivety. The location is not hard to find and basically across one of the exits of the subway station “Nußdorfer Straße”. The staff was very nice. We arrived on time, so we were given an intro to the game – the rules of the game were basically the default rules of the game, you (as a group) will be locked into a room and the goal will be to get out. You will get a walkie-talkie, but if you ask for tips, the game master will actually come down to the room and talk with you directly. There is no given limit to the tips you can get. 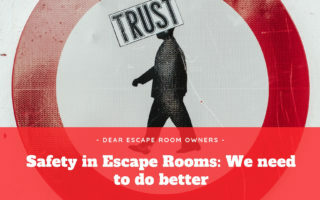 The game did not have a super special story behind it and our team had some serious problems of connecting the different puzzles or objects to the right solutions – but that could be connected to us just not understanding the items or this being our first time to actually play an escape game. The only actual negative thing about this experience for us was a broken item in the game, which stopped us for quite some time. After coming into the room and checking our problem, the game master let us skip the whole riddle where that item was needed, not telling us that the rest of the items we had left would not be needed for future riddles either – so we were left with items that we always tried to integrate into other puzzles and it really screwed up our game (at least in our point of view). So, as you can already read between the lines, we did not finish this room in time. 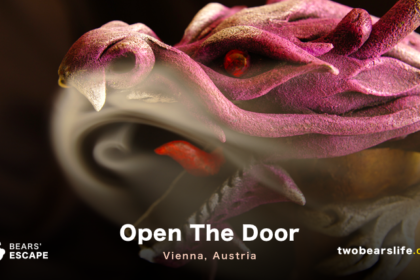 We had a great time as a group anyway and this experience, although not succesful, sparked the flame for our big love of escape rooms. 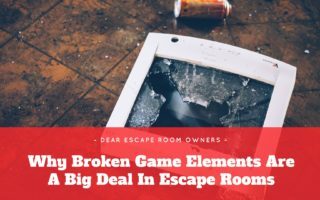 A broken item can happen to any room, so that fact should not be a big concern – just how the game master handled that situation was not perfect, in our opinion. 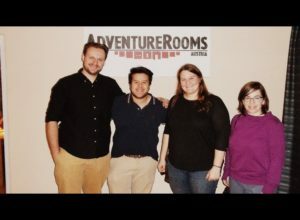 Not the “best” room in vienna, but the team is really nice and the riddles had a good balance – if we would play this room with the experience we have gained since we played this room, i am fairly certain that we would be able to finish it in time without a problem. The group should consist of at least 3 to 4 people. From now on, we will try to give a number score in the following criteria between 1 and 10. Of course we try to be objective, but nevertheless, it is just our opinion and if you don’t agree, we would love to hear from you in the comment section. 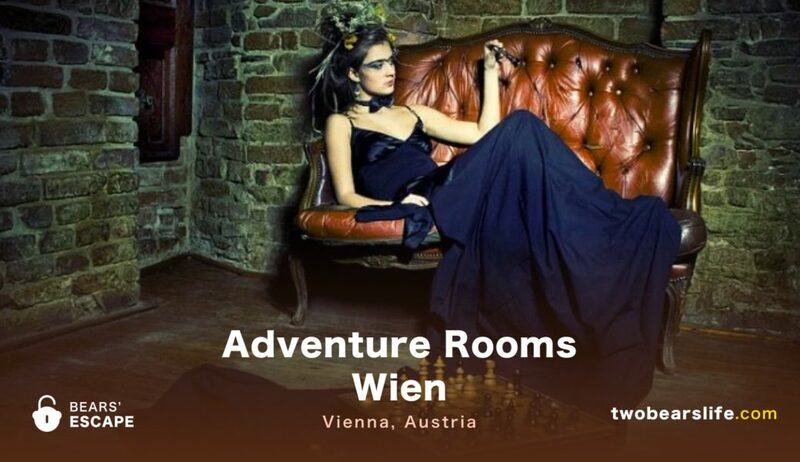 The Adventure Rooms Vienna are fairly close to a subway station, so the location, which is a little bit outside of the city center, is not a big problem. The staff was nice, but could have been more helpful, when one of the game items broke down. The overall production and game design of the room we did was okay, but not worth a positive mention. The room had no special theme and it was just a couple of unrelated riddles. Not a room for beginners or story-seekers, but definitely worth it for lovers of the game. I really like yours reviews. 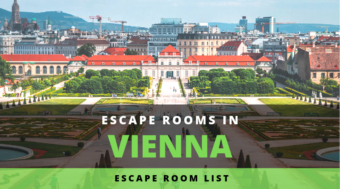 Did u try another room escape in Vienna?